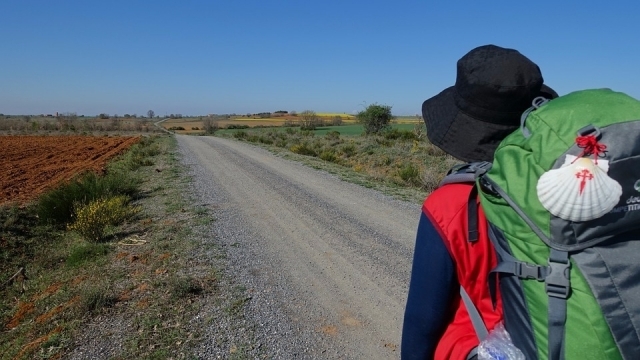 This first weekend of April has launched a new campaign - for the third year in a row - of backpacking on the Pilgrim's Camino de Santiago by Correos: PAQ Mochila. This service is available throughout the year for the stretch of the French Way from O Cebreiro to Santiago de Compostela. However, the transport is interrupted from November to March on the other routes of the Camino de Santiago and is put back into operation in the period from April 1 to October 31, coinciding with the months of greater transit of the Camino from Santiago. This year as a great novelty, Correos has enabled a new functionality in its web that allows the pilgrims to contract online the collection and transport of their backpacks so that they do not have to carry them, a new route that adds to the electronic mail and the service Whatsapp, which were already available. Through the web pilgrims can follow one of the pre-defined roads by post or design their own route, detailing the accommodations where we want the backpack to be transported, although the service also allows the accommodations to be communicated later. The Correos backpack transport service is also available on Sundays and public holidays.